Acting Police Commissioner David Ramnarine has confirmed that notorious prison escapee Mark Royden Durant aka Royden Williams and Smallie was intercepted and recaptured tonight at approximately 8 pm on the Weldaad, West Coast Berbice public road. Durant was travelling in a public mini bus heading east. He was travelling alone and unarmed, according to a statement from the Director of Public Information, Imran Khan. Williams is believed to be the mastermind of the July 9 jail-break that saw the fiery demolition of the Camp Street prison. He will now likely face a series of charges including murder. 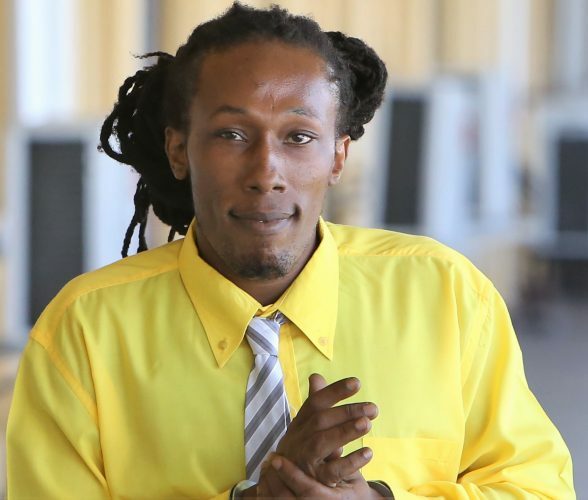 He had been sentenced to death in relation to the 2008 Bartica massacre.